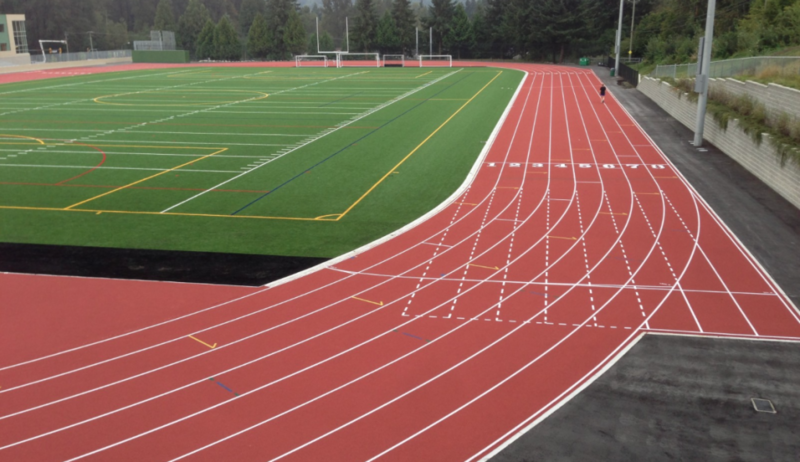 Burnaby Striders offers virtually year round training with a combination of both indoor and outdoor facilities. Final indoor practice before the holidays will be on December 13, 2018. We will resume indoor practice on Tuesday, January 8, 2019. Please note that there will be NO training scheduled on the following dates: Jan 16, 17, 23, 24 & Feb 19, 21. We will continue to post off days, as we get them and will also send out email reminders as required. Please continue to stay updated. 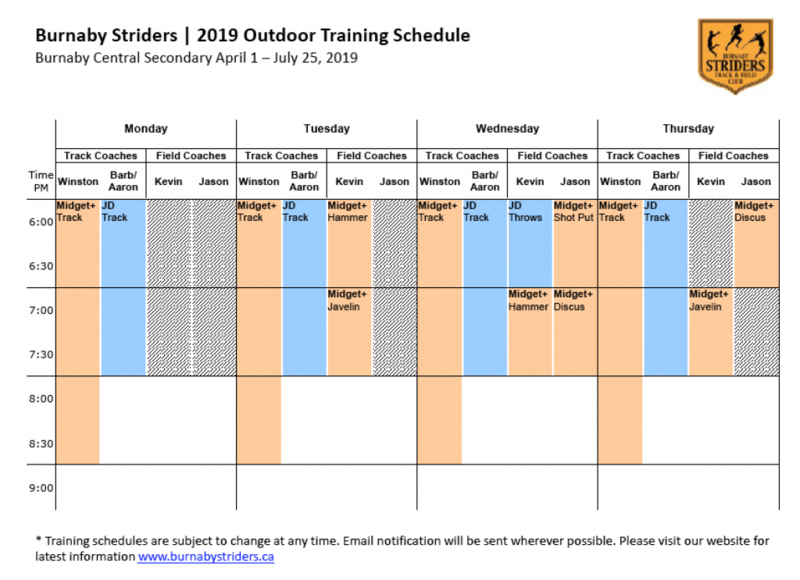 Practices will resume on Monday, April 1, 2019 at 6:00pm on the Outdoor Track at Burnaby Central. Outdoor practices will be Monday-Thursday evening from 6:00pm-9:00pm from April 1st to July 25th. 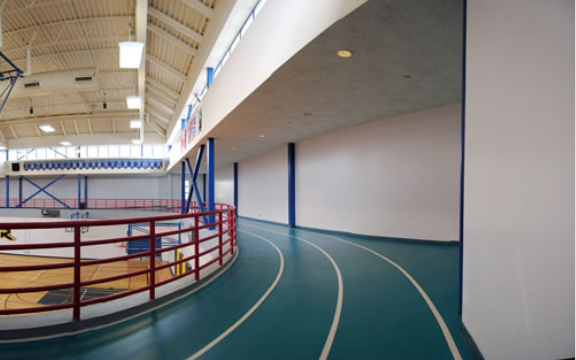 The Junior Development athletes usually only practice until 8:00pm.